I know, I know, it’s really weird that we’re combining Lexus and Hyundai. “Why didn’t you just lump Lexus in with Toyota”? Because we’re in Vegas, the land of bad decisions and worse consequences. “I really don’t understand why you can’t just do it now instead of typing a stupid explanation”. Because the files are already named as such and it’s more difficult to fix it than to just apologize. Honestly though, does it matter? You’re just here for the pictures and we’ve organized them nicely, Hyundai first, then Lexus. Wanna see a Veloster? Start at the beginning. 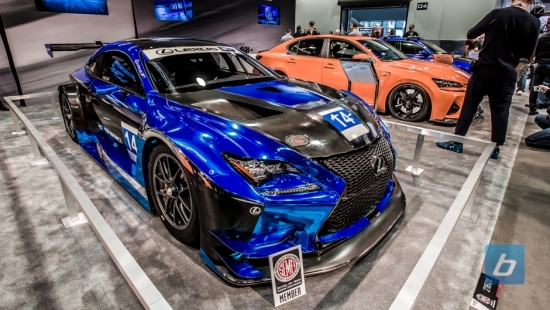 Wanna see an RCF? Start near the middle. These are the sort of simple concepts that we COMPLETELY FAIL TO GRASP ON A REGULAR BASIS. 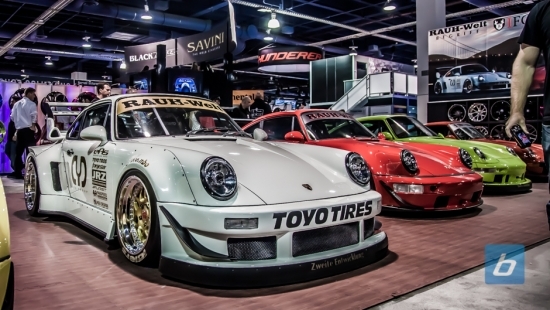 Toyota mixed things up at SEMA 2015 this year, packing their booth with trucks and SUVs while a handful of classic cars treated those who stepped outside. I spent most of my time admiring the Corollas and Supras – what 30-something boy racer wouldn’t? – but the bigger vehicles were definitely the stars of the show for Toyota. Especially given the notable absence of the FT-1. This is the first show in almost two years that Toyota hasn’t brought the FT-1 Concept, which kinda worries us. The Back to the Future Tacoma made an appearance in a faux-toy package getting whatever mileage they can while BTTF is still relevant. A Tundra was converted into a limousine which, these days, isn’t that outrageous. Hell, we were given more pause by the Challenger limo roaming the strip later in the night. The most ridiculous vehicle Toyota brought was one that almost slipped under our radar. At first glance we saw this matte black lifted 4×4 with bumper, winch and LED bars and thought it was just another 4Runner from the TRD parts bin. We walked away without giving it much more thought. It wasn’t until Bernard looked back and noticed the odd shape that we realized it wasn’t an ordinary 4Runner. In fact, it wasn’t a 4Runner at all… it was a Sienna. 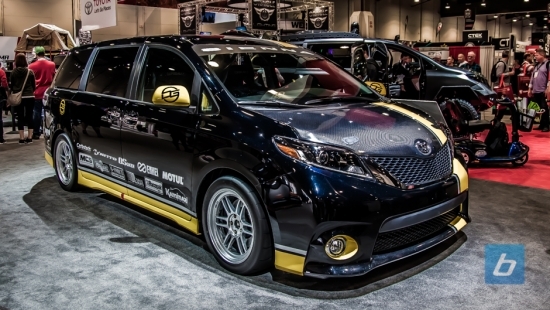 Toyota took their minivan and turned it into an off-road machine, which is precisely what we want to see at a show like SEMA. Decisions that go past “What was this guy thinking?” and into “I don’t care what he was thinking, this is awesome”. I’m sure most guys in North America who drive a minivan would love to do something like this, and now they’ve got a template. 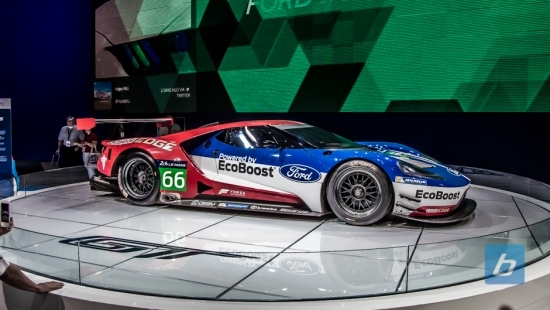 Check it out, along with Toyota’s other offerings, in the gallery below. It’s not like the standard MX-5 roadster was a heavyweight, but Mazda designers wanted to see what could be achieved if weight savings were pushed to the limits. They were given free reign to craft a couple examples of lightweight prototypes based on the MX-5 and the result are the two concepts below: The 2016 MX-5 Spyder Concept and 2016 MX-5 Speedster Concept. The MX-5 Spyder takes the unique characteristics of a vintage roadster and modernizes it to include a bespoke leather interior and a fresh new Mercury Silver prototype paint color. For the MX-5 Speedster, Miata designers took it to extremes while paying homage to the minimalist roadsters of the ’50s. 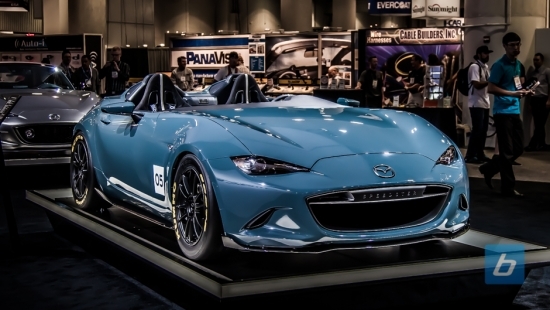 Painted in a Blue Ether paint, the MX-5 Speedster even ditches the windshield in favor of a carbon fiber deflector providing that true wind in the hair driving experience. 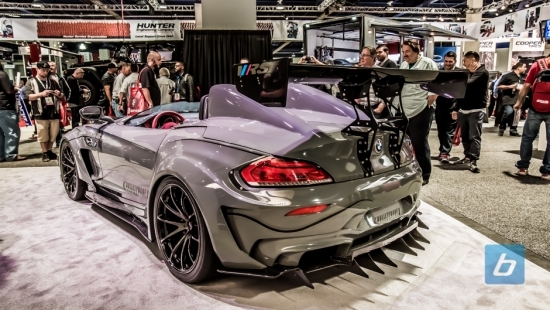 Both of these vehicles weigh significantly less than the already light 2,332 pound MX-5 roadster. Take a look through our gallery and let us know what you think! If you’ve been at any car show in the past couple years you’ll no doubt have heard Honda extolling the virtues of the Acura NSX. That’s because they haven’t really had anything exciting to announce and whenever they did unveil new vehicles like the MDX and TLX, I swear they spent more time talking about the NSX than the car they were about to pull the tarps off of. 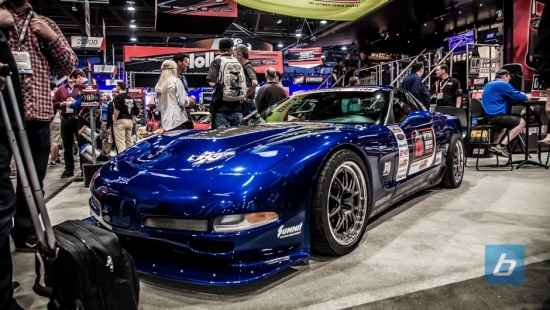 Here at SEMA, it’s no different. Honda wants you to know that even if you might not be in the market for an NSX, the NSX DNA lurks in all of their vehicles. 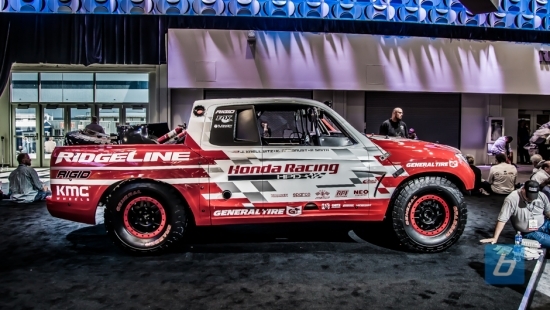 All kidding aside, Honda did preview their next-generation 2017 Ridgeline in the form of a race-prepped Baja off-road racing truck. We’ve only seen teaser preview renders up until now so this is the closest look we’ve had to the new Ridgeline. What we know so far is that it will share a platform with the recently released Pilot, and we will likely see it unveiled in Detroit in January, or possibly even as soon as LA in a couple weeks. The new Ridgeline is supposed to be available for order late next year. Another cool gem in the Honda booth was the matte white HR-V towing a white Grom as well as the immaculate Acura Legend that was roped off along with the blue NSX. The Legend belongs to rapper turned actor Ludacris and was restored by Acura after it was damaged in an accident. 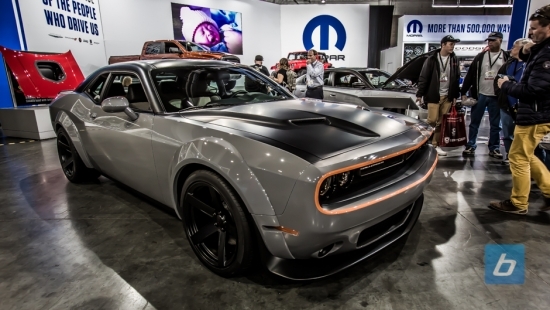 Check out the rest of the vehicles in our gallery.